"America's leading oboe recitalist" (The New York Times), has appeared extensively as soloist with internationally known orchestras and chamber music groups throughout the United States, South America, Europe, Australia and Asia. He has performed and recorded with some of the world’s leading conductors including Leonard Bernstein, Arthur Fiedler, Kiril Kondrshin, Josef Krips, James Levine, Dimitri Mitropoulos, Artur Rodzinsky, Sir Georg Solti, Leopold Stokowski and Igor Stravinsky. He records for Koch International, Vox, BMG Classics, Well-Tempered, Stradivari and Special Music. Among the many recordings to his credit is the Oboe Concerto written for him by John Corigliano. He is the recipient of a Solo Recitalist Fellowship, Consortium Commissioning and Music Recording Grant from the National Endowment for the Arts. He is a professor of oboe at The Hartt School. has performed in chamber music and solo recitals throughout North America, as well as Brazil, Germany, and Taiwan. A founding member of Oboe Duo Agosto and the Sylvanus Ensemble, he is active in commissioning new works and advancing a wide variety of repertoire for their concerts. Huang has been a Fulbright Scholar, semi-finalist in the Concert Artists Guild International Competition, scholarship recipient to the Music Academy of the West and the Norfolk Chamber Music Festival, and a winner of the Miami String Quartet Competition. He is currently teaching oboe and chamber music at The Hartt School Community Division, and has been invited to teach masterclasses and perform at SUNY Purchase, the University of Michigan and at CCM, Cincinnati. Past positions include Artist Teacher of Oboe and Coordinator for Chamber Music at Hartt, and Professor of Oboe at the Festival Eleazar de Carvalho in Fortaleza, Brazil. defies modern convention as a solo artist of oboe and voice, bringing exciting and unusual programs to audiences. She makes it her responsibility to commission works for oboe/voice, with works by Jason Coleman, MuXuan Lin and Lyle Davidson. She has participated in numerous summer festivals and competitions including Bowdoin International Music Festival, New Music on the Point, Eastern Music Festival, Hot Springs Music Festival, and the Banff Center for the Arts. She was also a semi-finalist in the Concert Artist Guild’s annual competition in New York City. In addition to performing, Dr. Leitterman is dedicated to bringing music to the younger generations. She is currently the Instructor of Oboe at Arkansas State University in Jonesboro, AR. Her duties include Double Reed Techniques, Fundamentals of Music, as well as coaching chamber ensembles. 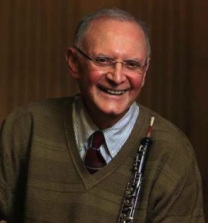 Dr. Leitterman is the Director of the Lucarelli Oboe Master Class, a weeklong immersive oboe master class founded by Bert Lucarelli. She has also presented master classes at Manhattan School of Music, the Hartt School, and Southeast Missouri State University. Additionally she has presented lecture recitals at The Juilliard School, the CUNY Graduate Center, and the Brazilian Double Reed Society’s annual conference in João Pessoa, Paraíba, Brazil.